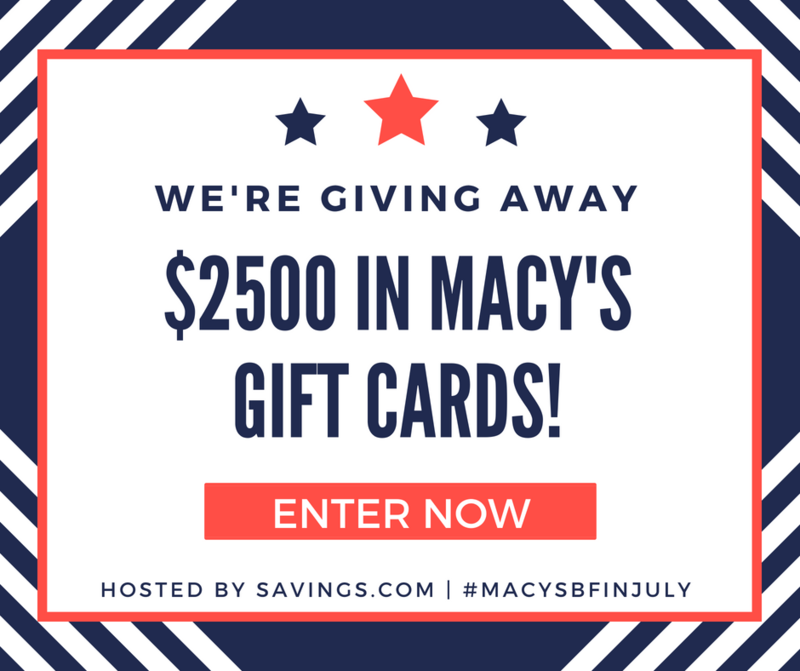 Head over to Savings.com to enter the Macy's Gift Card Giveaway. Ten lucky winners will receive a $100 Macy's gift card, Twenty winners wil receive a $50 Macy's gift card. It takes a minute to just head over on Macy's page on Savings.com and submitting your email address on the form at the top of the page.